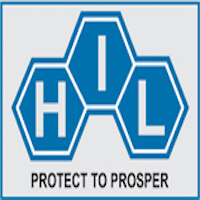 HIL Recruitment 2019 – Hindustan Insecticides Limited announced notification for the post of Engineer, Officer & Trainees in various Disciplines/Trades. The detailed eligibility criteria and application process are given below. About HIL-Hindustan Insecticides Limited (HIL), a Govt. of India Enterprise, under the Deptt. of Chemicals & Petrochemicals, Ministry of Chemicals & Fertilizers, Govt. of India, was incorporated in March 1954 with the objective of supplying DDT for National Malaria Eradication Programme launched by the Government of India. Subsequently, the company diversified into agro pesticides to meet the requirements of the agriculture sector and has grown manifold with a turnover of Rs. 339.90 crores in the year 2014-15. Presently the company is also operating in agro inputs namely agro-chemicals, seeds and recently it ventured into fertilizers so that all the requirement of the farming community can be met under one roof. HIL Recruitment 2019: HIL Announces Job vacancies in hil.gov.in > Human Resource > Careers section. All interested candidates can apply HIL Job vacancies through postal/Online. At present HIL, announced job vacancies for Engineer, Officer & Trainees. Eligible candidates can submit the application through postal on or before 29 April 2019. Diploma in Electrical Engineering with 5 years experience in Electrical Engineer in a factory preferably in Chemical Factory. Graduate in Commerce with CA(Inter) / ICWA(Inter) with two year post qualification experience including Article ship / practical training, working experience in SAP will be preferred. Final selection shall be made according to merit drawn on the basis of performance of shortlisted candidates in the interview process. In case large number of applications is received, HIL (INDIA) LIMITED reserves a right to conduct a written test or online test before shortlisting candidates for interview. Mode of Payment: Demand Draft – Drawn in favour of “HIL (India) Limited”. For Engineer (D.D. payable at Bathinda) & For Officer (D.D. payable at Kolkata). How to apply for HIL Recruitment 2019 for Engineer/Officer? All interested and eligible candidates can download the application form and send duly filled application form along with required documents (attested copies of certificates, testimonials and recent passport size photograph) to the following postal address on or before 29 April 2019.